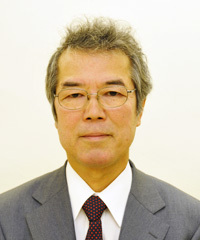 His name is also connected to a series of three joseki books, the Dictionary of Basic Joseki, which are still the most important Joseki books in the English language. Ishida's name is romanized in the English version of the book in the Western order (given name before family name), as "Yoshio Ishida". Ishida has written a number of other books, including Shimari no Gihou. Ishida was introduced to the game of Go at age eight, and was sent to live at the Kitani dojo in Tokyo at age nine. He became a professional shodan in 1963, and was promoted through the Oteai almost as rapidly as the rules allowed. He was actually promoted from 6- to 7-dan faster than the rules allowed, as normally a player was required to achieve a score of 75% over a stretch of eighteen consecutive games but Ishida received his promotion after only fourteen games. He had won them all and pointed out to the Nihon Ki-in that even if he lost his next four games, he would still qualify for 7-dan. His 9-dan promotion came in 1974. When Ishida won The 1971 Honinbo Tournament at age 22, he was the youngest person to ever win the title. This victory was the culmination of his first appearance in the Honinbo League, after working all the way up from the preliminary tournament. Ishida was known as the computer, for the accuracy of his endgame play and counting skills. Takahashi Hideo is his pupil. An accomplished guitarist and singer, Ishida used to perform in Jazz coffeeshops in Tokyo. His presence and articulateness make him a popular go lecturer and commentator. In 2000 he was voted the most popular commentator by the fans of NHK's Sunday TV Go tournament, just beating out Michael Redmond. In 2010 (May, 20) reached 1,000 wins in official games, beating Sanno Hirotaka (11th player of the Nihon Kiin).